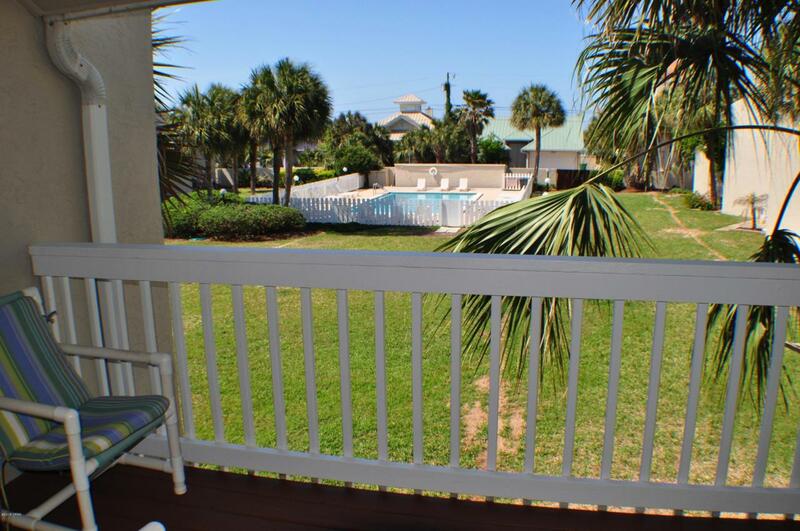 Lovely 2 story condo in a complex right across street from the beach! This 2BR/2.5BA Windsong unit is being sold completely furnished and you have a gulf view from the balcony. The condo has been recently updated and there is tons of storage inside and outside and the outside has fresh paint, stucco and roof. There's even a shower on the patio! Windsong Condos offers its residents a private courtyard and pool, and you're just steps from Beach Access #5 and a half-block from Schooners Restaurant & Beach Club! This is a fantastic unit for rental investment or keep it for you and your family to enjoy! All info is approx. and must be verified by Buyers if important.